How is it possible that DaddyZabba did better than me on this ride? He was holding LittleZabba and still got nearly 100,000 more points than I did. This just proves my theory that he is good at everything he does! Look at the concentration on his face. He is determined, motivated, he is not letting the Evil Emperor Zurg win this intergalactic battle! 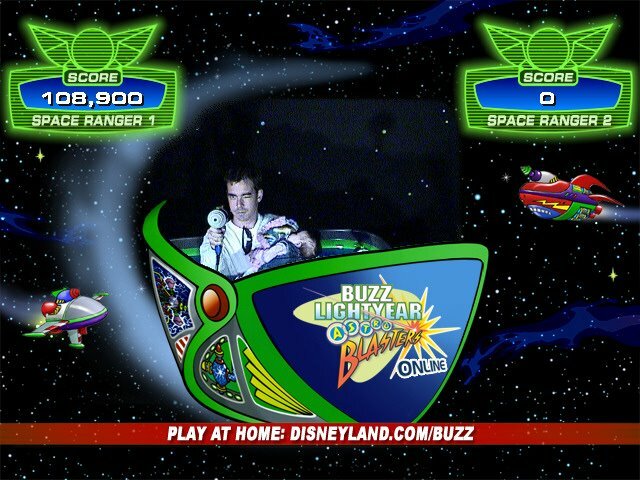 He is my Space Ranger! marathon runner and makes beautiful allyzabbas. I know that I have forgotten 20 other things.